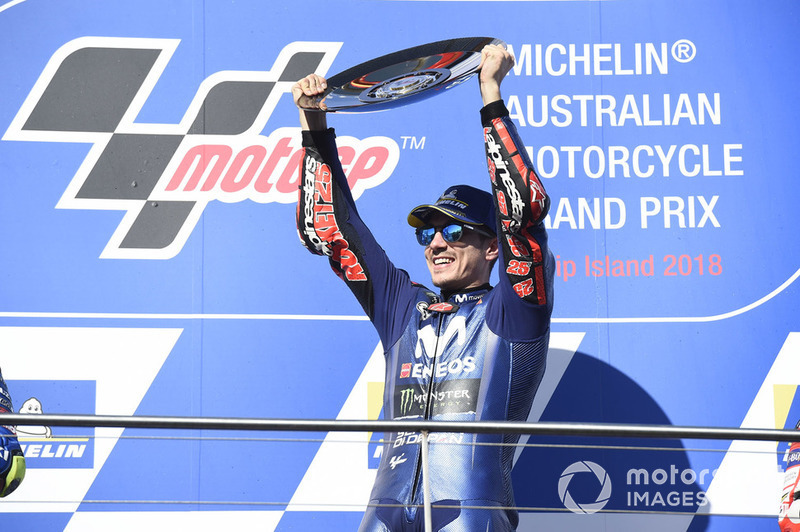 Maverick Vinales’ MotoGP triumph at Phillip Island ended a long winless run for Yamaha, but also highlighted the crucial decisions the manufacturer faces that could define its short-term future. 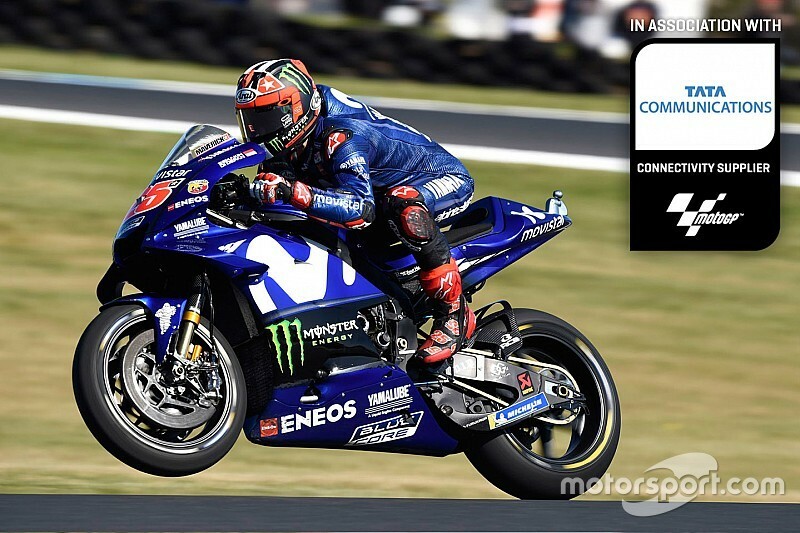 In the Japanese Grand Prix at Motegi, a little over a week ago, Vinales crossed the finish line in seventh, 13 seconds behind race winner Marc Marquez, and was in very low spirits. After having a long meeting with the Yamaha engineers that lasted over an hour, the Spaniard left the track and headed to Tokyo, where he tried to switch off and find some calm before flying to Australia. In one of those moments, the Catalan visited the famous Meiji Shrine in Shibuya, where he asked the deified spirits of the Meiji Emperor for some help to get out of the tricky situation he was facing. As if that wasn’t enough, at Phillip Island Vinales promised to his crew that if on Sunday he got the victory, he would shave his head, something we will probably see at Sepang in a few days' time. “I’ll be ugly for sure, but I have to do it, as a promise is a promise”, said the rider after putting to an end a miserable run of 25 races with no wins for Yamaha, its longest barren run in its grand prix racing history. Vinales made good on his promise to try to taste the best cava there is (the one they award in the podium ceremonies), which means the ball is now firmly in the court of the Iwata marque. Up until now, both Vinales and Valentino Rossi have been asking for considerably different things from Yamaha, which at this stage will have to decide a specific way to follow. “I hope Yamaha see that I can win races on Sundays and therefore make an effort to give me a more competitive bike next year, a suitable bike for me," said Vinales on Sunday. 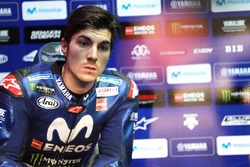 Although Vinales didn’t want to be overly belligerent, it's true that he’s been complaining about the decision Yamaha took at the beginning of the year when it incorporated the new engine in the M1, for a long time. At that moment, the Spaniard preferred to use the evolution of the specification they had in 2016, precisely the one inside Johann Zarco’s satellite Tech 3 bike. One of Vinales' main problems this year has been entry into the fast corners, as many times he has to run wide because he can’t stop the bike. According to him, this happens because current motor doesn’t provide him enough engine braking, and that explains those mistakes at certain turns. But Yamaha has told him that ahead of the first pre-season test in Valencia, two days after the end of the season, he will be able to try a new and hopefully more suitable engine. 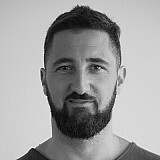 Only then will it become clear whether Yamaha has listened to the requests of the rider who theoretically remains its best hope of challenging for wins and titles in the next two seasons.